I want to share some great Primary Printables with you today. All Things Bright & Beautiful? If you haven’t you really need to stop by and take a look around. I happened to stumble upon it while looking for YW ideas. After looking around at all her amazing printables I fell in love! 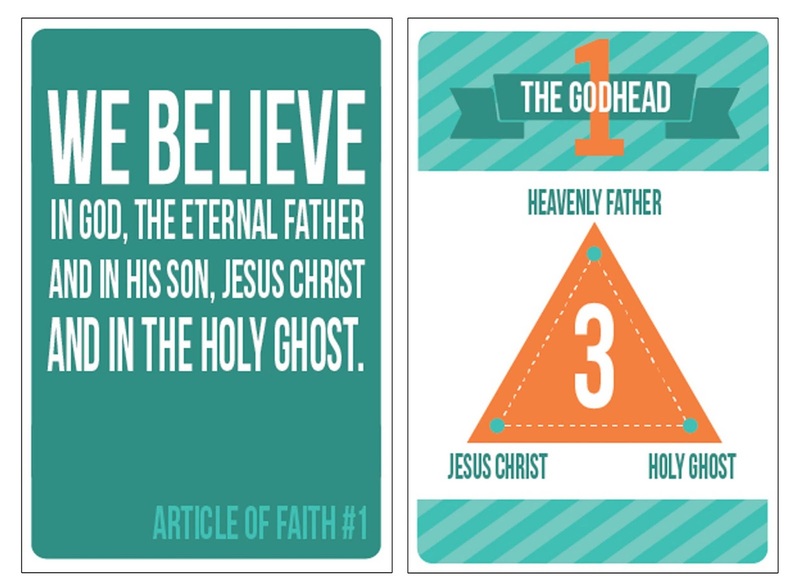 Today I want to share with all of you Courtney’s Articles of Faith Flashcards. 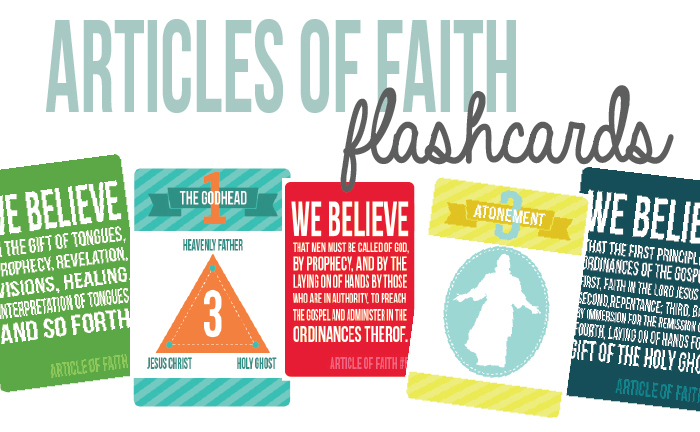 On one side, it shows the actual Article of Faith. “My thought was that both sides could be printed and glued together. or you could punch a hole in the corner of the flashcards and put them on a small ring. She also included a front cover and back cover for those that decide to put them on a ring! These would be great for Primary, your Family, Activity Days, etc. So stop by ‘All Things Bright & Beautiful’ to get yours!